Co-design, or participatory design, is about the meaningful involvement of end users in the design process. 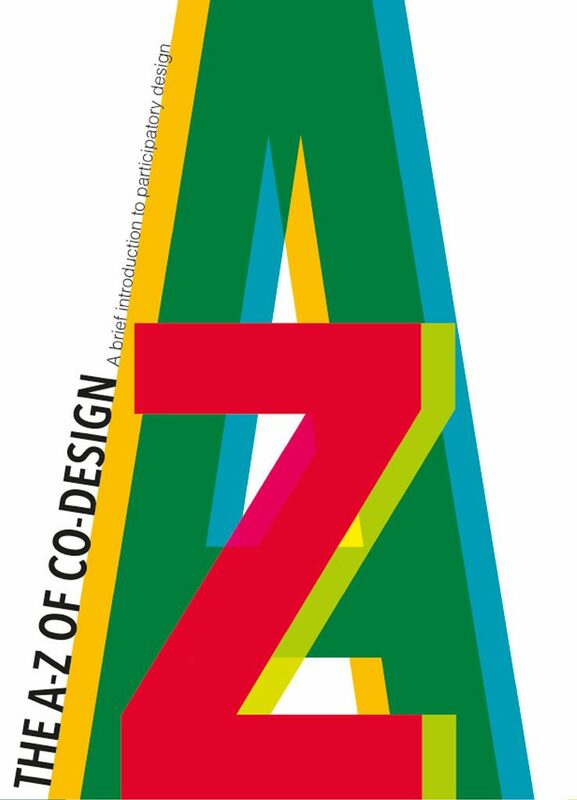 Our bite-sized A-Z of Co-Design is a folding wallchart exploring participatory design’s origins, methods and techniques, key roles, principles and issues. Many of the hints and tips are based on our own experiences of delivering a rich, varied programme of co-design activities as part of Mobility, Mood and Place. We’ve combined insights from this work with those of experts from a range of fields – from planning to design, geography to health, sociology to gerontology. Extensively referenced, we hope you will find this handy, practical guide both supportive and inspirational in your future participatory design endeavours. We would like to thank the Centre for Accessible Environments (CAE) for supporting its development.